Monsenso’s mHealth solution will lead the mental health component of a new ICT solution designed to help users maintain or improve their physical, cognitive, mental, and social well-being. Copenhagen, Denmark – 6 February 2018 Monsenso is proud to be a consortium partner in the international team consisting of SME companies, universities, and research centres for the Horizon 2020 funded WellCo project. 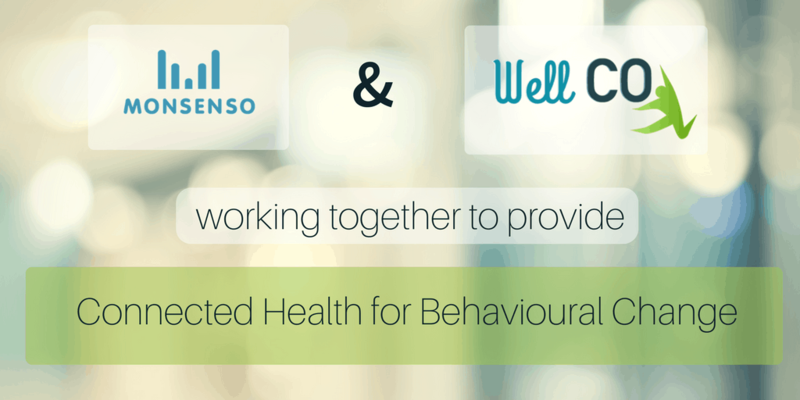 Led by Spanish ICT company Hi-Iberia, the WellCo project will deliver a radically new ICT solution focused on encouraging users to adopt and maintain healthier behavioural choices to help improve their long-term physical, cognitive, mental, and social well-being. The study will mostly be working with older participants. “WellCo’s aim is to change behaviours and promote a healthy living that will be translated in better quality of life for seniors. One of the main factors is to ensure the acceptance and maintenance of the healthy behaviors promoted by WellCo. The WellCo application will try to make use of the technology as a tool to personalize and tailor these recommendations to the specific needs and preferences of each user.” says Inmaculada Luengo of Hi-Iberia. The solution will consist of many components, including a comprehensive assessment, personalised advice, and supervised guidance & follow-up for users. WellCo interventions will be guided by an affective aware virtual coach that, through using state of the art technologies in AI (artificial intelligence), will interactively guide and empower users towards important behavioural changes. Monsenso’s mHealth solution will help contribute experience and knowledge to the project, by providing comprehensive routine monitoring and detailed data collection for assessing the participant’s behaviour. The virtual coach will be tested in trial in Trento in Italy, Castilla y León in Spain, Copenhagen and the Southern Denmark area in Denmark. There will be a minimum of 150 end-users included in the study. The study will be continuously supported by a multidisciplinary team of experts and users’ close caregivers to ensure the effectiveness and accuracy of the guided wellness interventions. In Denmark, the University of Copenhagen and The University of Southern Denmark will be working alongside Monsenso in the study. The University of Copenhagen will contribute to the study with the Quality of Life Lab, which explores the development and evaluation of personal behavioural health metrics by examining how sensor data can be used as a minimally obtrusive method to accurately and longitudinally measure an individual’s behaviour. The lab will also examine how an individual’s quality of life naturally unfolds over time; within this context, the lab will also examine which behavioural change methods can be used to improve the individual’s overall quality of life. “It is very exciting to be involved in this study and to see how sensor data and remote monitoring can work together to offer a better, more informed, detailed picture of individual’s behaviours for the assessment and improvement of their quality of life and overall well-being.” says Katarzyna Wac, Quality of Life Lab leader and Associate Professor at the University of Copenhagen. The solution will be implemented, demonstrated, and piloted at The University of Southern Denmark. “We will be very interested to see how this project effects our elderly patients and their wellbeing, and how much more data and information can be extracted with the use of remote monitoring and sensor data tools,” says Torben Uhrenholt of The University of Southern Denmark. The Monsenso solution is currently being used in Region South Denmark Clinics. The project has launched on December 4th in Madrid and will continue until the end of 2020. Click here to read the press release in Danish. 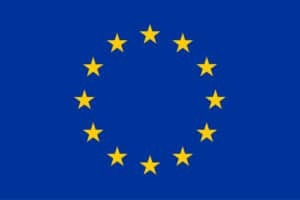 This project has received funding from the European Union’s Horizon 2020 research and innovation programme under the grant agreement No.769765. About Monsenso: Monsenso is an innovative technology company based in Denmark that offers a comprehensive mHealth solution to optimise the treatment of mental disorders. Our mission is to assist healthcare providers, researchers and individuals in coping with and overcoming the burden of mental illness. Our solution provides a detailed overview of the patient’s mental health through the automatic collection of behavioural data and routine self-monitoring. Our team is committed to developing complete and effective solutions that fit seamlessly within the lives of individuals, in order to increase the quality and efficacy of their treatment.